The apple is the symbol of risk and temptation. That’s why it’s much better to sit on it than bite it, and that’s what designer Maurizio Galante thought as he designed the covers for the Tattoo Eve and Tattoo Snow White for Baleri Italia. There is a modified variant of the famous Tatino pouf from Enrico Baleri & Denis Santachiara under the Tattoo Apple. the spherical seat by Baleri Italia is made of FCKW-free polyurethane with a soft and mouldable layer below and with a firm interior structure of plastic, which supports the body perfectly, offering enough resistance so that you can remain on it comfortably. 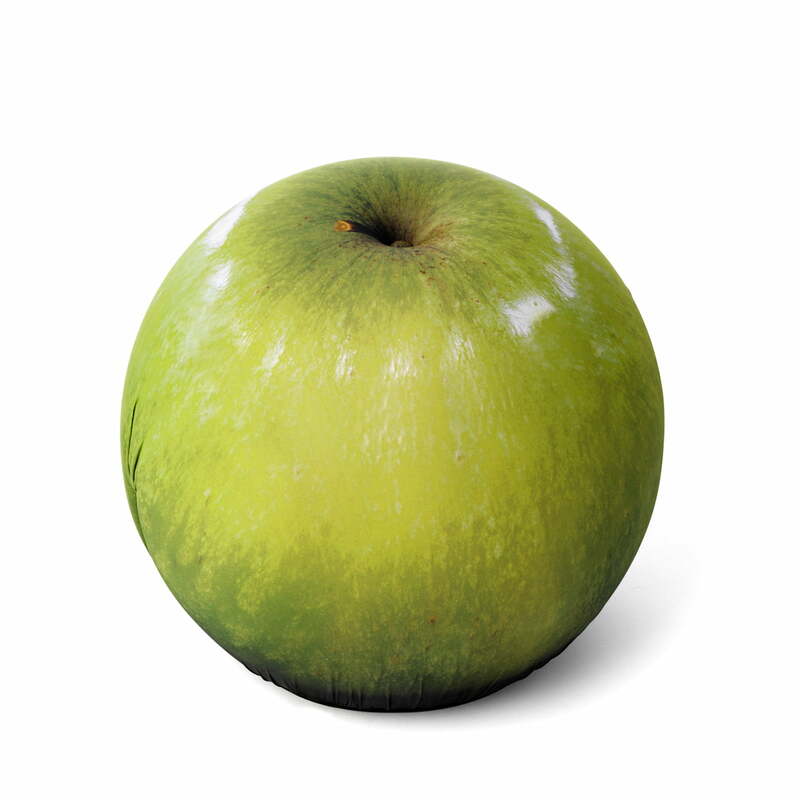 The green apple represents the apple Eve gave Adam, according to the biblical Genesis narrative. The red apple symbolises the apple that nearly killed Snow White in Grimm’s fairy tales, which was poisoned by the jealous queen. 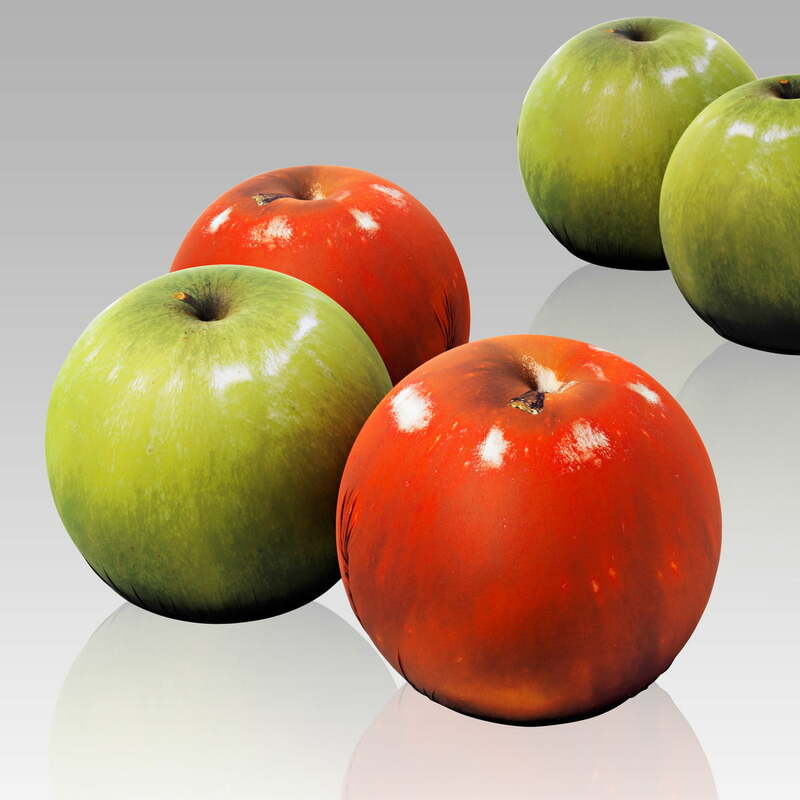 The Tattoo Apple by Baleri Italia doesn’t provide any poisoned experiences for its user. Much more, this humorous seat combines visual accents with functional utility. In addition to the photorealistic references with the apple motif, designer Maurizio Galante also designed other covers for the Tattoo by Baleri Italia.